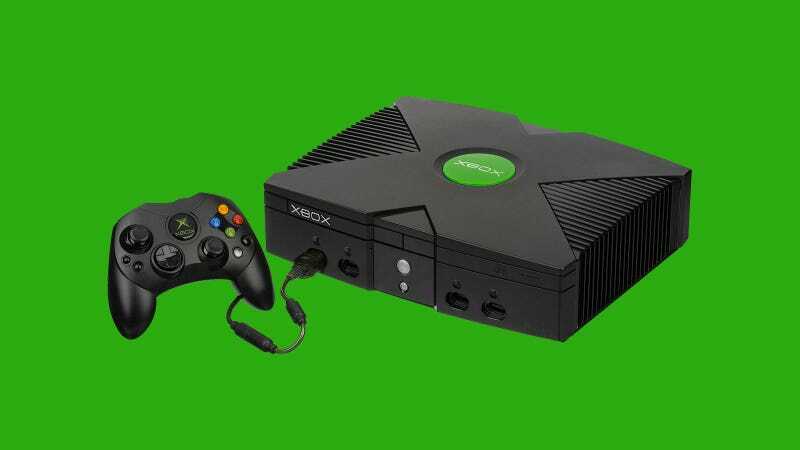 Leveraging the console’s horsepower, hard drive and online capabilities, the Xbox burst onto the scene in November 2001 with one of the greatest launch games of all time (Halo), and left us with a whole range of series (admittedly, many of them now sadly no more) that helped drive the brand well into the Xbox 360 era. Below you’ll find a list of what we consider the best Xbox games. Many of these are available in 2018 either as digital downloads for the Xbox One or as PC games, so if you’ve slept on any of them, you could do worse things than check them out. Before we begin, though, spare me your sob stories. If your favourite isn’t here, chin up. Just because we didn’t agree on a game—or didn’t think it was good or weird enough to make a list called THE BEST—doesn’t make your own feelings on it somehow invalid! Originally a strategy game for the Mac, Halo ended up a first-person shooter on a Microsoft console. Not only is it hailed as one of the greatest launch titles of all time, but it’s largely responsible for proving that first-person shooters couldn’t just work on a console, but excel. A perfection of the series’ formula before it blew itself out into an open-world game, Burnout 3 remains about as fast and as furious as driving games get. It was probably worth the price of admission for crash mode alone. It’s a tired meme these days in the face of Madden’s everlasting monopoly on the NFL license, but it’s worth remembering that NFL2K5 stuck around so long in people’s hearts because it was such a good sports game. Example: its running game and line are still better than anything EA has come up with over the last decade. Part of the “Dreamcast 2" movement, this is not as good as the original version of the game. Yes, it made some improvements (like removing some punishing time limits), but the whole thing feels more washed out and toned down than the Jet Set Radio appearing on Sega’s console. Which is to say this is merely the second-best version of one of the freshest and most original video games ever made. There’s an argument that this is the best Splinter Cell game, and it’s a good one. Its singleplayer struck a neat balance between the obsessive stealth of earlier games and the combat-heavy mayhem seen later on, while its multiplayer modes—its co-op campaign especially-remain a gold standard even a decade later. Few games better showcased the gulf in performance between the Xbox and PS2 than KOTOR, a game Bioware basically said they couldn’t do on Sony’s console. Not only was it a technical marvel for the time, but it helped that it’s an incredible RPG, and one of the most authentic Star Wars experiences to boot. It was the best GTA game on the PS2, and (after a lengthy delay) ended up the best GTA game on the Xbox as well. Its soundtrack is a gift to video games. As I said for the PS2 version: It was a good action game/platformer without the time abilities! But with those abilities, which let players shift time itself around during the middle of combat (or fancy leaps), this became one of the most unique games of its generation. Of all of Microsoft’s first-party failings in recent years, few stick in the throat more than the murder of this series. Project Gotham may not have had Forza’s seriousness or Burnout’s white-knuckle thrills, but what it did do was make driving a fast car (or any car, even a Ford Focus) around a city’s streets fun. Not an exercise in endurance, or simulation, or tinkering, just...fun. Time has been surprisingly kind to Fable. Compared at launch to the game it was supposed to be, the years since have allowed us to appreciate the game more for what it simply was: a fun, novel approach to the RPG that may not have got everything right (or delivered on what it promised), but was still a fun little adventure through a unique, big-booted fantasy world. People remember this being a better game than it actually was, but its Zelda-like blending of overworld action and dungeons was exactly the kind of experience the Xbox needed in 2003, especially since it played so much better on Microsoft’s console than it did the PS2. Yeah, it’s a PC game first and foremost, but Morrowind is like Halo, in that it took a type of game almost synonymous with the personal computer—in this case a relatively complex 3D RPG—and showed that it worked just fine on console. (Vid via John GodGames). Steel Battalion is not a very good video game. But for shipping with what remains the greatest pack-in video game controller of all time, it is guaranteed a place on this list until the end of days. The best Xbox action game got better with this re-release, which added new difficulties (at both ends of the spectrum) and a bunch of other stuff. Even in the face of more modern competition like Bayonetta, this game is still very good. When Panzer Dragoon’s Yukio Futatsugi gets to make an Xbox game. Phantom Dust may have had a very sad time on the Xbox One, but its original incarnation was a strange and beautiful thing.